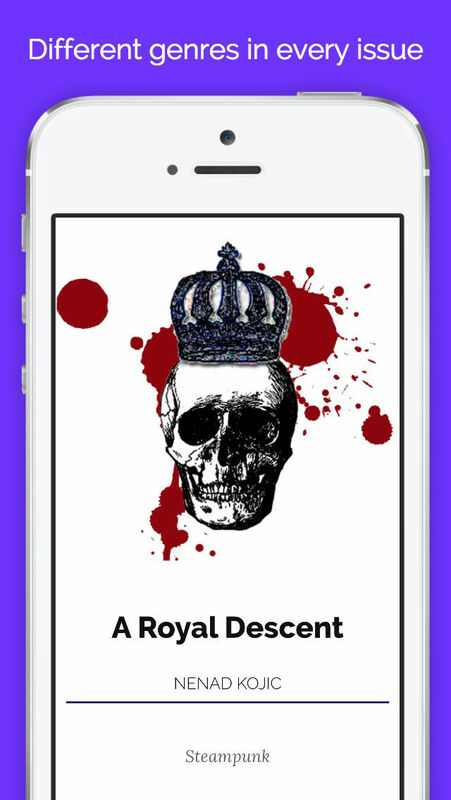 Read exceptional modern short stories on your iPhone or iPad with Feed Me Fiction. Every month features a newly refined brew of different genres, including adventure, romance, fantasy, mystery, science fiction, literary fiction, horror, & humor. Start reading for free now! 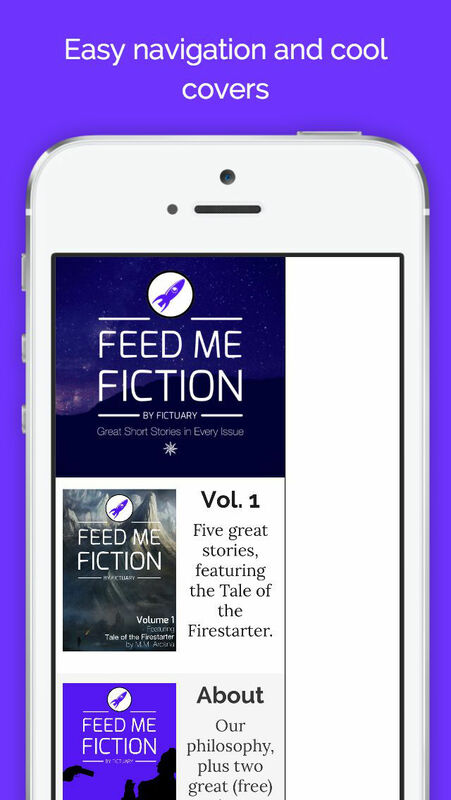 Subscribe and you'll find that Feed Me Fiction is the newest and best curated short story publication on the App Store. Feed Me Fiction publishes new work by rising authors all over the world. We aren't partnered with publishing houses, nor do we limit ourselves to established authors - what matters is that every story we publish is excellent. We invite you to escape into imaginative stories, exercise your love of reading, and come find your new favorite author. We publish issues monthly, and each issue contains five or more great modern short stories. Subscriptions offered are six months for $5.99 and twelve months for $9.99. Individual issues can also be purchased for a one-time fee of $1.99. Subscriptions do not include access to all back issues. - Account will be charged for renewal within 24 hours prior to the end of the current period, at the monthly rate at the time of renewal. - Any unused portion of a free trial period will be forfeited upon purchase of a subscription. Photogotchi – Feed me pixels!